Walter was always a fan of the Muppets. It seemed like a dream come true when he got a chance to visit the Muppets’ studio until he discovered it was in danger of being torn down for the oil reserves that lie beneath. Walter then realizes he needs to help Kermit the Frog reunite the Muppets for one last show to hopefully raise enough money to save the studio. The Muppets is based on The Muppet Show, a wildly popular variety show that aired from 1976 to 1981. Much like The Muppet Show, this movie aimed to be humorous fun for children and adults alike. In that respect, The Muppets succeeded. The movie was full of surprisingly intelligent jokes. One of the best scenes was Walter running away screaming upon overhearing Tex Richman’s (Chris Cooper) plan to tear the studio down. More than anything else, the jokes had very good timing. Unfortunately, the movie felt like it had run out of steam the second half of the movie. I felt the movie was a lot funnier during the first half, after which it sort of dipped into unnecessary melodrama. While there were still some decent song and dance numbers, I thought the scene that was essentially an episode of The Muppet Show was very much overly reliant on Jack Black. Also, The Muppets was just a little too focused on a small number of characters. There simply was not enough script to go around, and for that reason the movie probably would have benefited from the removal of the Mary/Gary romantic subplot to allow other muppets to have more screentime. Still, The Muppets is a rarity in that it is a movie that works as entertainment for the whole family. Sure the characters were total caricatures, but that was done intentionally so. Since there isn’t a single Pixar movie playing, The Muppets is a good thing to take your children to, and you might enjoy watching it as well. 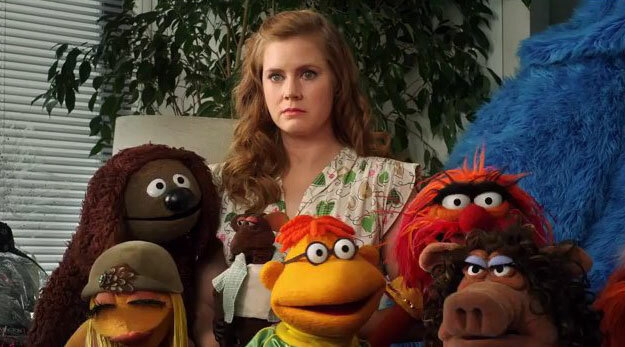 Also, I think this movie will win new Muppets fans as I have been pretty unfamiliar with them prior to this movie.